21 Latest Technology LEDs Ensure The Power You Need Is At Hand, Whatever The Job! 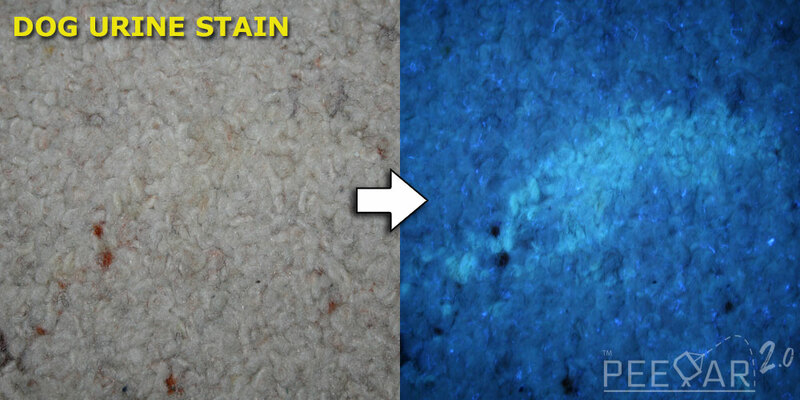 Special Super High Energy, Very Low Wavelength 380-385nm UV Makes Invisible Pet Stains Glow Brightly In The Dark! 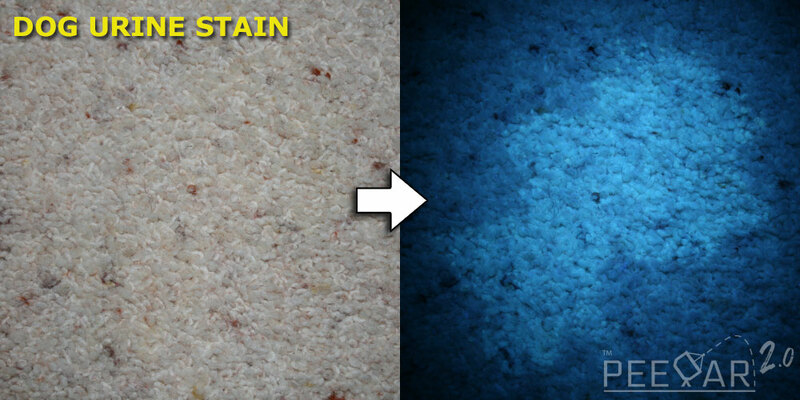 PeeDar 2.0 is THE High Power solution you need for quickly and easily finding pet stains in your home. 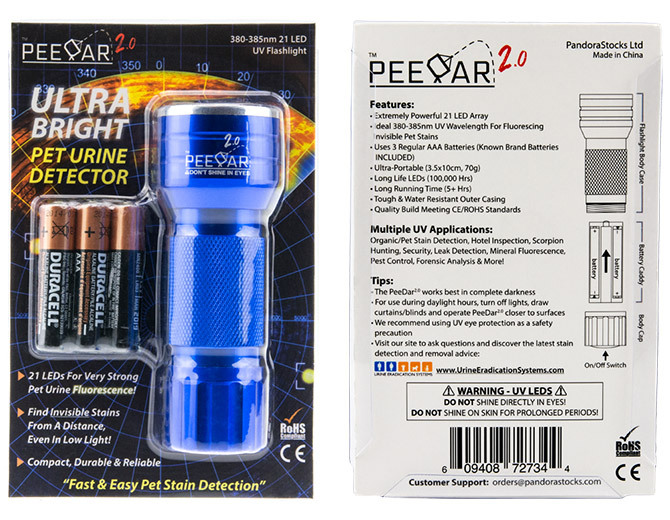 Urine Eradications Leading UV Stain Finder, PeeDar 2.0 Has Been Specifically Engineered for Pet Urine Detection And Is Exclusively Sold On Amazon’s Websites Globally. Find us on Amazon by searching Amazon for “urine detector” and click on the PeeDar 2.0 listing. Or simply click the ‘Buy From Amazon’ button above and get yours today! Professional animal behaviorist & trainer, Mandy Schubach, reveals how to correctly & safely fix the root causes of your pet’s unwanted toilet habits. Dedicated cat & dog sections lead you through in-depth, easy to follow, practical, proven steps. NOTE: The download link for your included eBook is on the packaging. If you missed it and no longer have the packaging, simply get in touch with us and send us your Amazon order ID and we’ll send you your download link again. This is a fantastic book you do not want to miss out on! Why Choose The PeeDar 2.0? 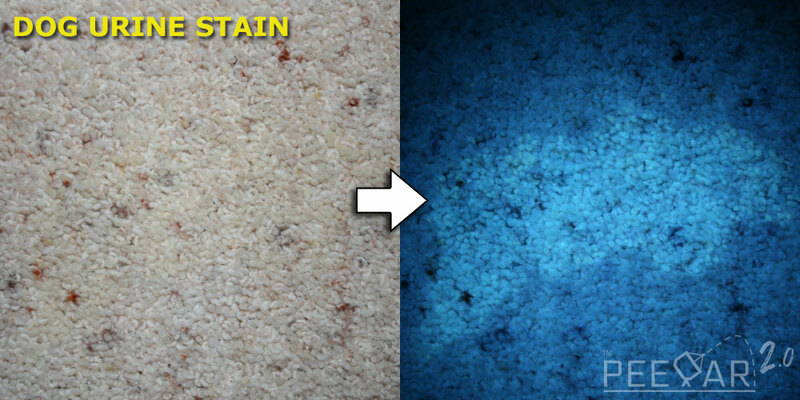 The acrid stench of urine is unmistakable, and tends to worsen over time if left untreated in your living spaces. Cat urine in particular creates some of the most monumentally offensive whiffs known, typically a result of their rather rich meaty diet. Although sterile when ejected from your pet’s body, their urine contains a vast range of different biological chemicals which the wide range of bacteria, living naturally throughout your home, thrive on. The more bacteria grow and multiply the greater the horrendous urine stench becomes, as well as the potential for diseases spreading. 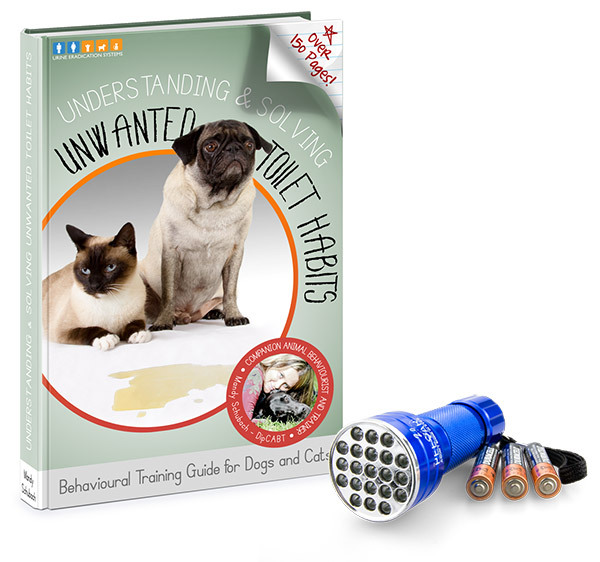 Neither your furry ones or their humans should live around festering urine for any length of time, having guests round quickly becomes a humiliating exercise in the presence of urine, particularly at meal times. Add to this, the fact that urine smells tend to attract pets to repeat offend in the same spots, and your urine patches can only get worse without immediate and effective cleaning. 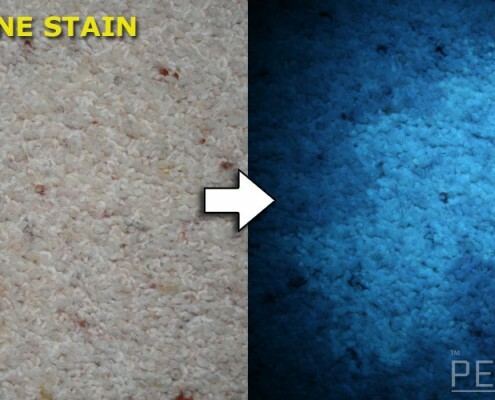 Finding and eradicating urine stains should become a regular and thorough part of your weekly lifestyle, you can then also start to work on more long term behaviour modification that can potentially eliminate your pet’s inappropriate indoor urination for good! 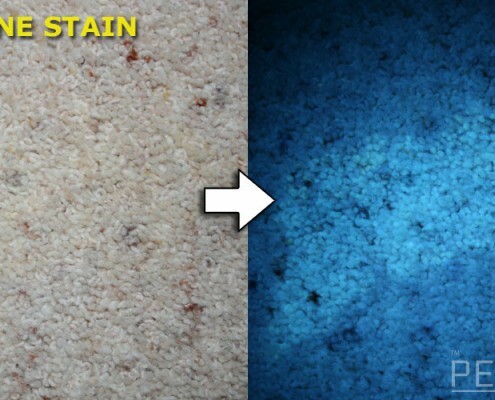 Before you can get rid of your fur-baby’s many urine stains, uncovering their whereabouts quickly is of the utmost importance. The old fashioned and slightly off-putting method of smell and touch does indeed work to some extent, but can take a very long time when on your hands and knees – not great when bacteria are rapidly increasing in number every hour! 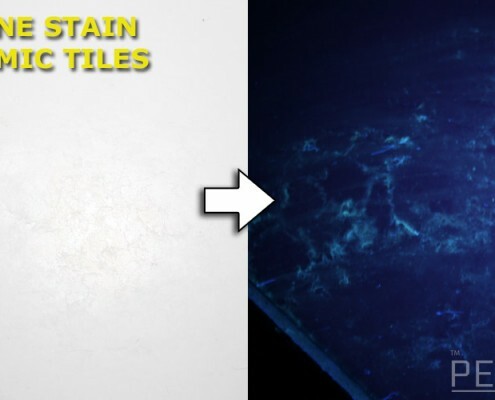 UV flashlights offer THE fastest way for you to uncover invisible dried urine stains, brightly fluorescing them in an instant from up to 4 meters or more away. After heavily analysing what made our original PeeDar so successful, and taking into account our rich array of customer feedback, important areas we could greatly enhance further became apparent. Unlike the bulk of our main competitors who all sell virtually the exact same 12 LED UV torch, yet again we opted to take a different and much more effective approach with our new and improved UV flashlight. 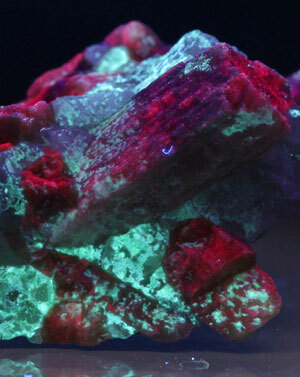 PeeDar 2.0’s significantly lower UV wavelength provides much more contrast with a stain’s background, at the same time displaying a richer and more true range of colors from bright light greens and yellows, to deep and rich reds, dull oranges and more. 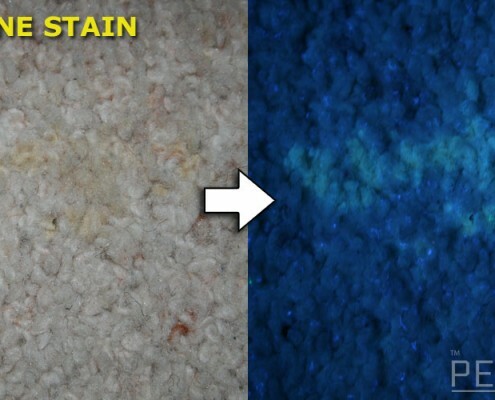 As with the original and highly successful PeeDar, there is zero overpowering purple visible light, making stains highly noticeable. Packing in 21 of the latest high efficiency square chip technology LEDs, you can rest assured that your UV beam is amongst the most powerful, able to highlight urine at distances of up to 4-5 meters in a darkened environment, and is even capable of showing up invisible stains in low level daylight/ indoor lighting. 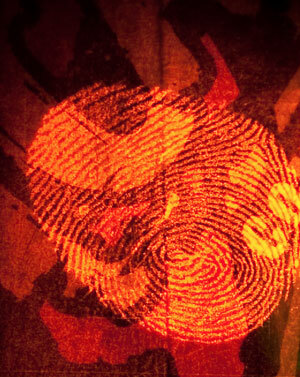 Unlike the competition, the PeeDar 2.0 is also very effective at picking up hidden marks on bank notes and credit cards. Hotel and apartment/residential cleanliness inspections are a breeze. 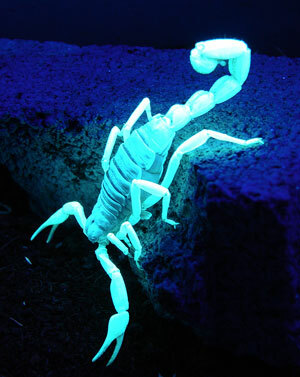 Use the PeeDar 2.0 at UV parties and you’ll be sure to see all kinds of vivid colors for hours. 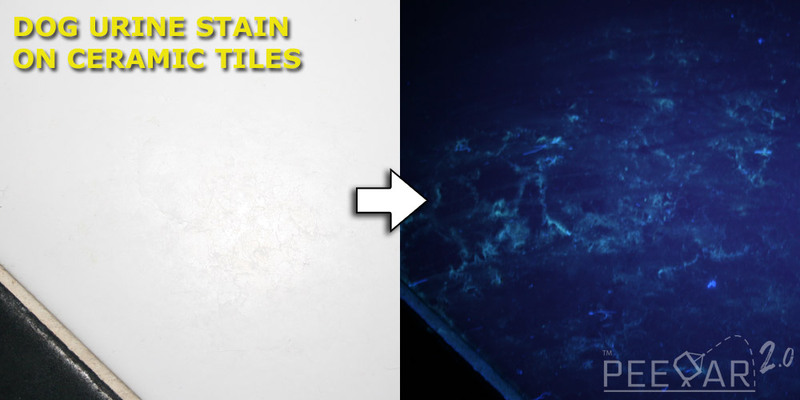 PeeDar 2.0’s rich, smooth blue coloration, very portable size, tough aluminium casing and construction, and above all fair price, all combine to give our customers what we believe is currently by far the best value urine stain hunting option on the market – bar none! Try the PeeDar 2.0 today and SEE the difference! 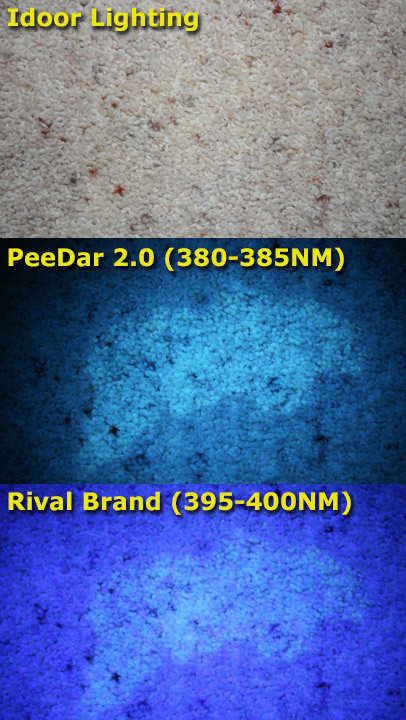 The PeeDar 2.0 uses an optimized 380-385nm UV wavelength range for pet urine stain fluorescence. A tough, water-resistant, solid body constructed with quality components assembled in a leading flashlight manufacturing environment. PeeDar 2.0 meets CE & ROHS standards. The PeeDar 2.0 outputs less visible light than competing brands. 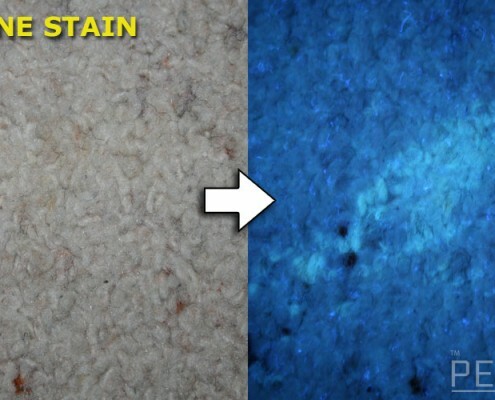 This is important as it ensures less over-saturation of UV fluorescence from near-visible-spectrum purple light, making pet stains much more visible. 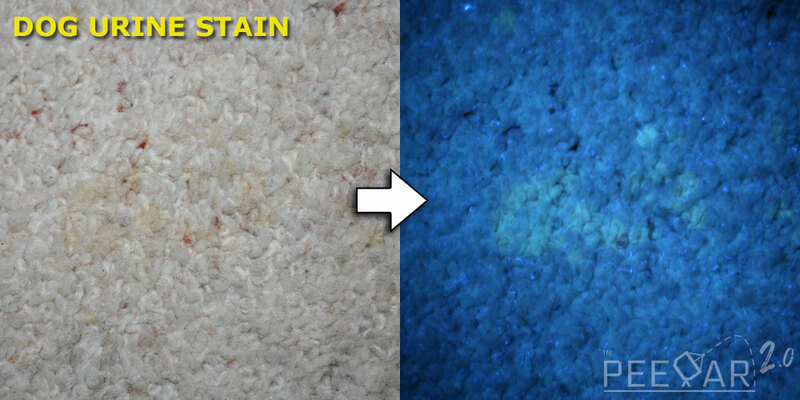 The low 380-385nm wavelength range makes it easier to distinguish different stain types. The PeeDar 2.0 can show a variety of fluorescent colors – a true black light creates beautiful light greens, yellows, rich dark reds & more! The PeeDar 2.0 comes with 3 Duracell AAA batteries so you can start right out of the box. The PeeDar 2.0 has a very useful long 5+ hour run time – plenty for when searching for those pet stains! The PeeDar 2.0 is very small & portable making it super convenient. PeeDar 2.0 dimensions: 100x35mm, 70 grams. “On a recent sunny day when I left the back door open, the local neighbourhood stray must have wandered in, left his mark and wandered out. The smell was undeniable. But after spending hours on my knees sniffing, wiping, deodorising/Fabreezing I STILL hadn’t located the exact source and eliminated it. 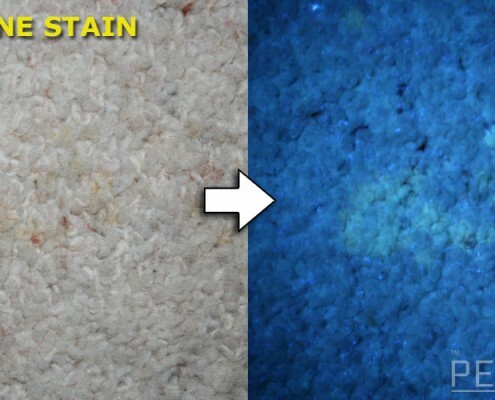 I was sceptical about PeeDar’s claims at first, but having heard on the radio that cat urine glows under black light, I thought I would give it a whirl. I am impressed. And entertained. You see, it works. And not only have I now found all traces of Tom’s tiddles, I have become something of an amateur CSI-esque forensics expert. 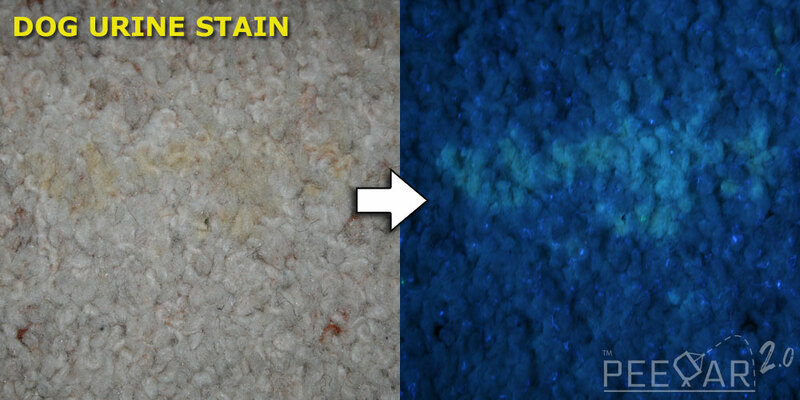 PeeDar works on cat urine, sure, but also on other stains/surfaces that I had and previously considered clean. No longer naked to the human eye, and no more excuses for missing the corners. “This product is so useful! We just fostered a feral tomcat who managed to get in to parts of the house he shouldn’t and sprayed. We could certainly smell it but working out exactly where he had been was really difficult. I was advised to get this particular urine detector by a poster on a pet forum who raved about it. She wasn’t wrong! I did feel a bit like something off CSI using it (kids loved it!) and we managed to locate the affected areas in seconds. It was great for checking after we had cleaned that we had got it all. Extremely simple to use and the house no longer smells of cat pee, so my husband is no longer demanding we get rid of the cat! 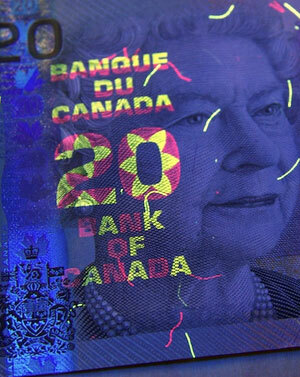 The PeeDar 2.0 emits a strong UV beam. This product is not a toy. Ultra Violet rays can be harmful; it is very important you keep the PeeDar out of reach from children. IMPORTANT: The UV beam must NOT be directly shone at eyes. Wearing UV protective glasses is recommended. Avoid shining the UV beam directly at skin for prolonged periods of time.